I still remember a friend telling us the story of how she forgot a pair of sunglasses in her hotel room while on vacation in Greece, but realised it when she was boarding the plane to go back home. Well, not only did the hotel staff contact her to inform her, they actually mailed it to her home address at no cost. That was a memorable moment in my friend’s customer journey, which inevitably got engraved in her heart. These kinds of gestures go beyond gaining a customer; they help you achieve the ultimate goal of making the customer a brand ambassador, promoting your hotel over others. Customer service: this is what actually drives the hospitality industry. Employee engagement: this is what drives the best and finest customer service. Therefore, more engaged employees create happier customers. It is a simple equation that is, or should be, the foundation for all those who lead the country’s hospitality industry. In this industry, perhaps more than in any other, your employees will always be your brand ambassadors. Especially in the budget hotel sector, there are employees who cover multiple positions. These employees need to be trained in numerous skills and in such a way that will keep them constantly engaged. This way, they will be the driving force that will help your organisation carve a niche for itself in a competitive market. Nowadays, Airbnb’s trendy establishments and cost-efficient solutions have changed the standards; creating the need for excellent customer service more than ever before. Airbnb uses no staff to deliver accommodation services. Therefore, the difference that you need to make lies in the hands of your people. The two slogans that drove Airbnb to the top were the essence of what it sells: “Live like a local” and “Belong anywhere”. Who can make your guests feel more comfortable than the employees running your business? Your employees are the ones who can make your customers live like locals, feel valued and get pampered; offering customers their undivided attention that wouldn’t be traded for anything else in the world. The rise and fall of hotels depends on the impression they make on their guests. What’s more, nowadays, these impressions are found online, in platforms like TripAdvisor, in the form of reviews that affect the behaviour of your customer pool in real time. Customers will never love your business until your employees love it first. 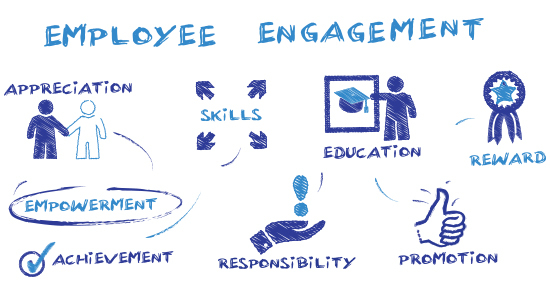 Enter the path towards employee engagement! 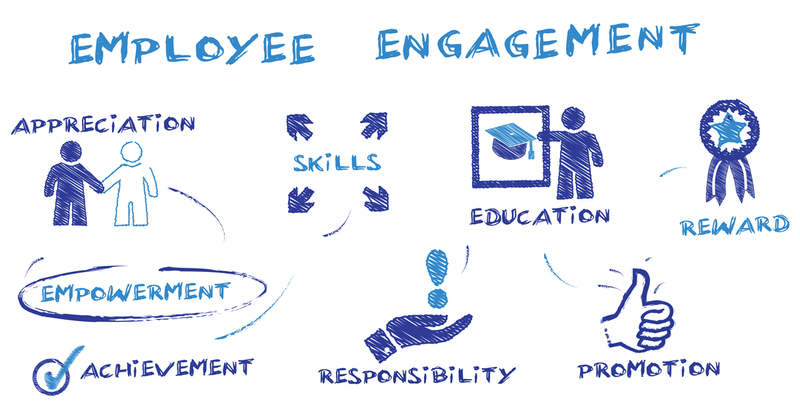 Employee engagement is the element that drives any business to success. Engagement is not only about having satisfied employees but loyal ones, and loyal employees turn out to be high performers. By focusing on keeping employees engaged, you share your mission and vision with them; making them feel like an active and essential part of the organisation. You cannot force employees to put in that extra effort, but you can ask an engaged one to give them leeway to exceed their expectations. You’ll be surprised at how naturally they go the extra mile, and with a smile. It is that same smile on your customers’ faces when they realise that they are taken care of by gratified people who not only know their profession, but also understand what feelings their performance is bound to generate. The key driver of commerce is customer service and customers, especially in the hospitality industry, need to feel some kind of connection with the employees of an organisation. Once a relationship is established, these customers will keep coming back, and so will their friends. As far-fetched as it may seem, in the future, even their children may become customers. Being engaged entails having a clear understanding of your responsibilities, contributing towards the company’s purpose, expressing heartfelt emotions and basically, making a positive impact through outstanding performance at work. Centralus has long identified the importance of employee engagement and we’ve designed the services it takes to inspire your staff to build a business that stands out from its competitors. This business will grow thanks to exceptional performance, and thrive through happy employees, satisfied customers and supreme services. Oh, and that friend who was touched by the way that hotel in Greece treated her, will be visiting that same hotel this summer with more friends. It’s as simple as that! to find out how enhanced engagement boosts your business!